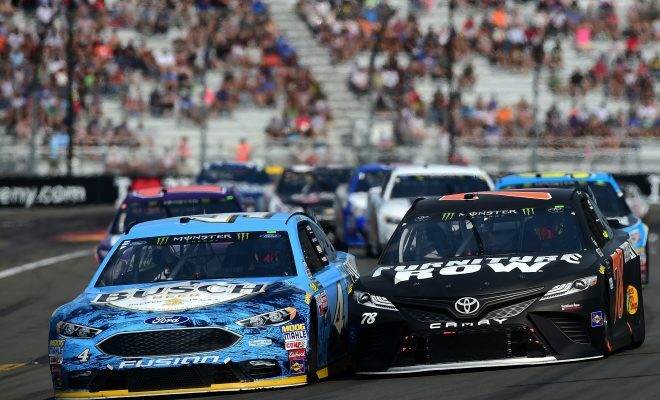 The Monster Energy NASCAR Cup Series is headed to Watkins Glen International for the Go Bowling at The Glen and our Sarah Handy breaks down her picks and who you may want to pay attention to this weekend. AJ Allmendinger: Whenever the MENCS heads to either Watkins Glen or Sonoma, it’s tough to pick against Allmendinger. Allmendinger has been very consistent and brought home solid finishes pretty much whenever he gets the chance to race at a road course. In 9 starts at The Glen he has 1 win (August 2014), 3 top-5’s, 6 top-10 finishes and one pole position. I honestly feel AJ could be a threat this weekend, and it all honesty it’s his best chance to make the playoffs. 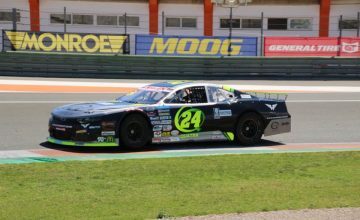 He’s coming off a solid 9th place finish in this race last season so look for him to be competitive through out the event. Kyle Busch: Busch is coming off momentum from not only his win last weekend at Pocono Raceway, but an unbelievable season up to this point. Busch already has six wins this season (ties Kevin Harvick) to go along with 15 top-5’s and 17 top-10 finishes. In 13 starts at The Glen, Busch as 2 wins, 5 top-5’s, and 11 top-10 finishes. In this race last season, he started from the pole and ultimately finished in the 7th position. As he has been most weeks, I feel Busch is a top choice to win come Sunday afternoon. He is certainly a driver that can’t be counted out this season with the season he and his No. 18 team are having. Denny Hamlin: Hamlin is still winless this season, and I don’t see that changing this weekend. While has one win at Watkins Glen coming in the 2016 race he hasn’t had the best track record at the road course. Hamlin has 3 top-5’s and 6 top 10 finishes in 12 starts, but his average finish is 17.7. I don’t look for him to be up front battling for the win on Sunday, but more than likely finishing within the top-15. Kyle Larson: Watkins Glen hasn’t statistically been the best track for Larson in his Cup career up to this point. In four starts, he has 1 top-5 and 1 top-10 finish for an average finish of 17.0. His last two finishes at the road course are 23rd (2017) and 29th (2016). Larson will certainly be hoping for better results this weekend. I feel his chances of winning are very slim, and if his statistics say anything he will more than likely walk away with a top-15 or top-20 result. Martin Truex Jr: Truex is certainly someone to keep an eye on this weekend with the season he’s having. Truex is like his fellow competitors Ky. Busch and Kevin Harvick is having a fantastic season. 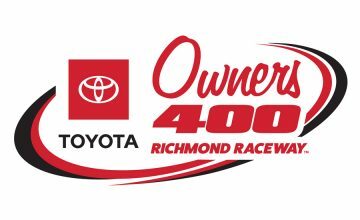 Truex already has 4 wins, 14 top-5’s and 14 top-10 finishes in 2018 and he is the defending race winner having won this very race last season. He has 4 top-5’s and 7 top-10 finishes in 12 starts at Watkins Glen. I look for him to be very competitive come Sunday afternoon and he could very well win back-to-back races at the track. Kevin Harvick: With 6 wins this season (ties Ky Busch), Harvick is worth keeping an eye on this weekend. While he hasn’t won at The Glen since 2006 he has 3 top-5’s, 8 top-10 finishes in 17 starts. The road course hasn’t been very kind to Harvick in his last two starts with finishes of 17th (2017) and 32nd (2016) but with the season he’s having he’s hard to totally brush off as a threat. Harvick has been a threat almost every single race weekend and has shown him and his team won’t back down from fighting for wins each week. With his six wins this season, he also has 16 top 5’s, 17 top-10’s and two pole positions. Who do you think will win this weekend at Watkins Glen? Let us know in the comments below.